The gutter installation company to turn to in Los Lunas, New Mexico, is ABC Seamless of Albuquerque. We are well known for designing seamless gutter systems that are custom made on-site for a perfect fit along your home, providing a beautiful look. These gutters are also more durable than similar products on the market because the location where traditional gutters meet is usually very susceptible to cracks, leaks, and breaks, which, if gone untreated, can lead to serious water damage to your home. Furthermore, our gutters are up to 30 percent wider than traditional gutters. This will allow them to withstand larger amounts of rainfall, so the water flows freely away from your home. 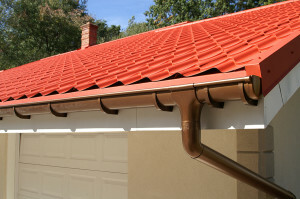 For more information about the best gutter installation company in Los Lunas, NM, and the surrounding areas, contact ABC Seamless of Albuquerque today. Make sure to ask about our convenient financing options available to those who qualify.